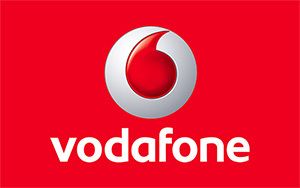 Vodafone and EBS have entered a strong partnership that will become an essential part of a new EBS product: EBS MC&MP. EBS MC&MP stands for Mobility Control & Maintenance Prediction. It is a tool developed for car manufactures, car importers and large fleet owners. MC&MP enables these companies to optimize the maintenance need of the vehicles, control the mobility of their fleet and it gives the opportunity to analyze real-time driver behavior. A key component of the MC&MP solution is data transfer and hosting on a global level. This is where the expertise of Vodafone M2M is vital. All EBS MC&MP modules are standard equipped with a Vodafone M2M data solution. Together with ELGERSMA, TomTom and EBS developed a great way to fully integrate a TomTom PND into a vehicle; the Easy Mute package. The success of the Easy Mute package has resulted in yet another project; a new bracket for the TomTom PNDs. Since the establishment of EBS in 2008, EBS and ELGERSMA are working together to supply customers with EBS products via the ELGERSMA e-shop concept. ELGERSMA has been at the heart of the automotive industry since 1921 and is part of a group with over 50 car dealerships in the Netherlands alone. EBS is the exclusive development partner for ELGERSMA when it comes to electronic car accessories.